Dermaquest Skin care. FREE SHIPPING. Award-winning, world-renowned chemist and pharmaceutical scientist, Sam Dhatt, developed products for some of the most well known brands in the industry before creating Dermaquest in 1999. Dhatt is president and CEO of Dermaquest Skin Therapy, a privately held company with worldwide representation. Dhatt designed Dermaquest skin care products with proprietary, advanced formulas incorporated with scientifically proven, safe ingredients. 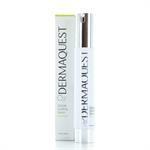 Dermaquest skin care products are highly respected among skincare professionals. DrSkinSpa.com is an Authorized Retailer of Dermaquest. All Products are Guaranteed Authentic & Fresh. 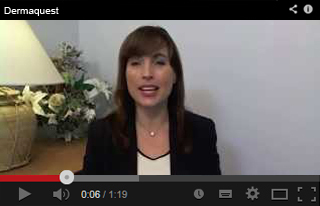 “Sam Dhatt is one of the most well respected, well known chemists in the industry. 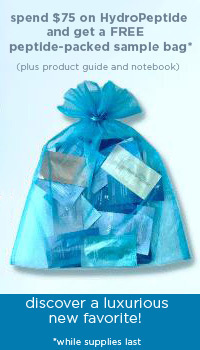 Dermaquest skin care products are not just another line of high beauty street products. 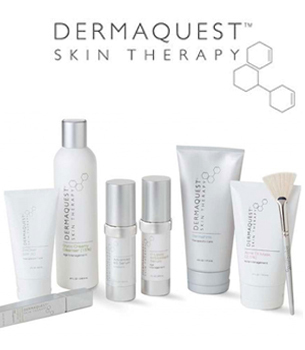 Dermaquest Peptide Mobilizer and all of the Dermaquest skin care products are powered to perform and produce results,” stated Rachel Goodyear, esthetician at DrSkinSpa.com. Dermaquest Skin Therapy Stem Cell 3D Complex is clinically proven to reduce wrinkle depth up to 15% in just 20 days; used twice daily. It not only promotes collagen growth up to 30%, but also reduces collagen breakdown by up to 46% with 60-day use. Dermaquest Skin Therapy Stem Cell 3D Complex encourages cell turnover, improves the appearance of sun damage, enhances dermal hydration, and prevents and repairs DNA damage from UV and environmental factors. Dermaquest Skin Therapy Stem Cell 3D Complex also acts as an anti-inflammatory to reduce blemishes. Emily Blunt, the English born actress best known for her role in the film The Devil Wears Prada, puts Dermaquest Skin Therapy Stem Cell 3D Complex on her list of “must haves” in the March 2012 issue of InStyle Magazine sporting Jennifer Anniston on the cover. Dermaquest Peptide Mobilizer and other Dermaquest skin care products are reviewed and raved about in dominant magazines such as New Beauty with Reese Witherspoon on the cover, People Magazine, Skin Inc, Day Spa, and more. 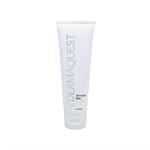 Best-selling peptide product, Dermaquest Peptide Mobilizer, integrates the highest level of peptides to smooth and plump skin with powerful, anti-aging results. Dermaquest Peptide Mobilizer offers the benefits of Botox but with a non-invasive, soothing treatment. 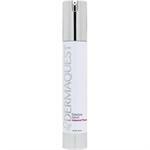 Dermaquest Peptide Mobilizer regenerates and firms skin with neuropeptides while increasing skin hydration. 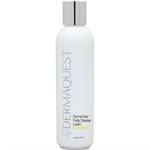 Dermaquest Peptide Mobilizer incorporates essential amino acids which promote collagen growth and brighten skin tone. Dermaquest Peptide Mobilizer also reduces inflammation while decreasing fine lines and wrinkles. 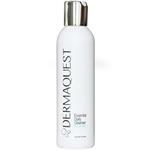 Dermaquest Skin Therapy Skin Brite Cream creates an even skin tone by fading dark spots and reducing hyperpigmentation. Dermaquest Skin Therapy Acne TX Mask exfoliates the skin with jojoba beads while Benzoyl Peroxide eliminates the bacteria that produce acne. Dermaquest Skin Therapy Acne TX Mask reduces inflammation, controls oil production, prevents breakouts, and clears dead cells. 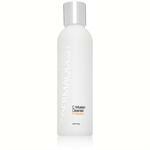 Dermaquest skin care products are formulated to penetrate the skin’s surface with unsurpassed efficacy employing the latest, cutting-edge technologies.